"When You See a Wrong, Speak Up." 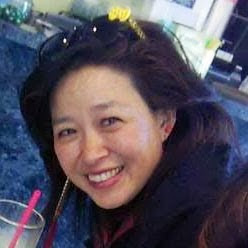 Frances Kai-Hwa Wang: writer for NBC Asian America. Fred Korematsu was one of the many Japanese American citizens living on the West Coast of the United States at the onset of World War II. Shortly after the Imperial Japanese Navy attacked Pearl Harbor, President Franklin Roosevelt issued Executive Order 9066, authorizing the Secretary of War and his military commanders to remove all individuals of Japanese ancestry from designated "military areas" and place them in internment camps in what is now known as the Japanese American internment. When such orders were issued for the West Coast, Korematsu instead became a fugitive. The legality of the internment order was upheld by the United States Supreme Court in Korematsu v. United States, but Korematsu's conviction was overturned decades later after the disclosure of new evidence challenging the necessity of the internment, evidence which had been withheld from the courts by the U.S. government during the war. To commemorate his journey as a civil rights activist, the "Fred Korematsu Day of Civil Liberties and the Constitution" was observed for the first time on January 30, 2011, by the state of California, and first such commemoration for an Asian American in the US. At this event co-hosted by APALSA and MLSA, panelists will give a presentation on this rebellious journey of Fred Korematsu and the legacy he left behind.